Thank you! 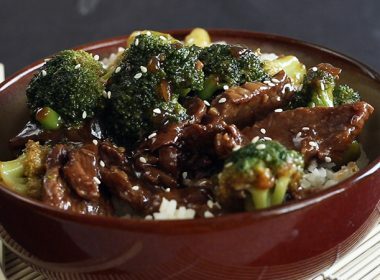 I am just thrilled to have this recipe for the Instant Pot. My mother made Hollywood Two Tone Cheesecake my entire life. She used a handwritten copy of the recipe, which I treasure. Growing up she let us choose our birthday cake each year, and I choose this cheesecake every time. We are from Chicago, and I know she was familiar with Antoinette Pope. How fun! Hope you enjoy it Mary Ann. I made this for Thanksgiving and it was delicious! Made a berry compote to go over it and it sent it over the top! Curious, if you keep it in longer for the first step in the PC will it develop a thicker cheesecake consistency? I know other recipes state that and wasn’t sure on this one. Mine actually wasn’t cooked at 22 minutes and I had to put it back in and did 3 more minutes with another 10 minute NR. Your recipes are great, thanks so much! Thanks Jody – glad you enjoyed it! Yes, you can cook it longer and it will develop a denser cheesecake consistency if that’s what you prefer. So nice to hear you’re enjoying my recipes. 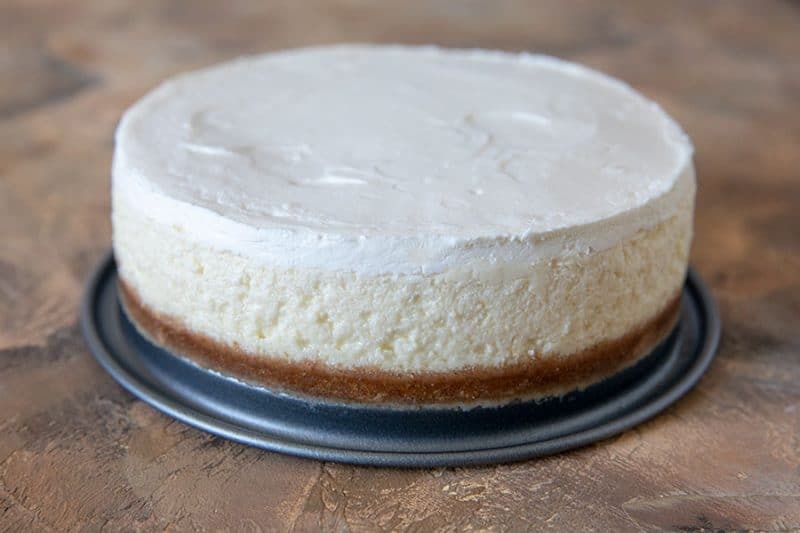 It’s hard to believe that you can make such a perfect cheesecake in a pressure cooker. I love it! 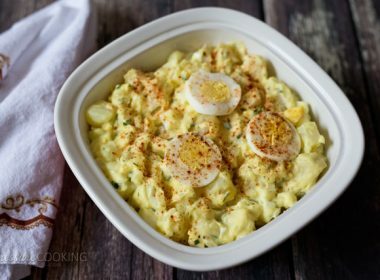 So rich and creamy and so easy to make! My son loved it! He can’t wait for me to try it again! 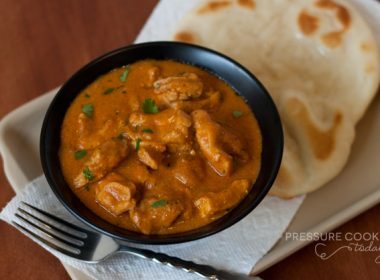 This is amazing that you can make it in the pressure cooker. Creamy and delicious! This is cheesecake at the next level. Love the layers! 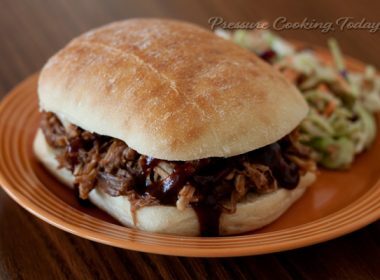 I can’t believe this was done in the pressure cooker, it looks incredible! 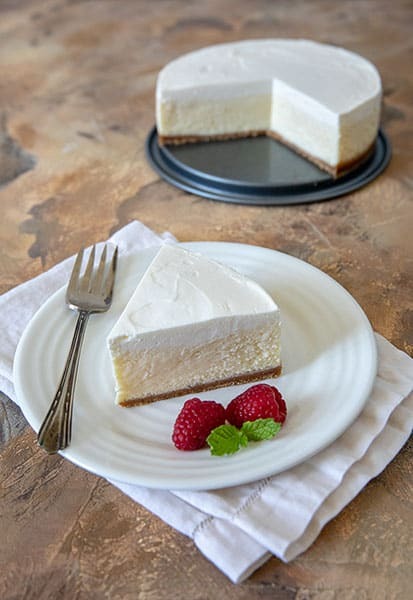 Wow, a beautiful creamy cheesecake! It’s so beautiful! I can’t wait to make this! It looks perfect and yummy. I believe baking the crust would be better, the one I made was just a gooey layer, also I didn’t use parchment paper and had a terrible time getting the pieces out neatly. Then found out that I put the liner in upside down. Dumb, dumb. Live and learn. But the flavor was great. Thanks. We all live and leaver 🙂 Perhaps there was a little too much butter in your crust or you got water in the crust? It won’t be as crisp as baked in the oven, but it should not be a gooey layer either. Did you perhaps take the crust to the top above the cheesecake layer? 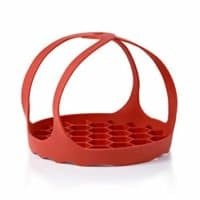 Any ideas on cook-time adjustments to make this into minis in silicone cupcake liners? 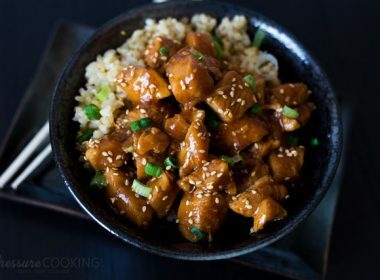 Is there any reason why this recipe can’t be used in a traditional (stove top) pressure cooker? Any adjustments necessary? Thanks! 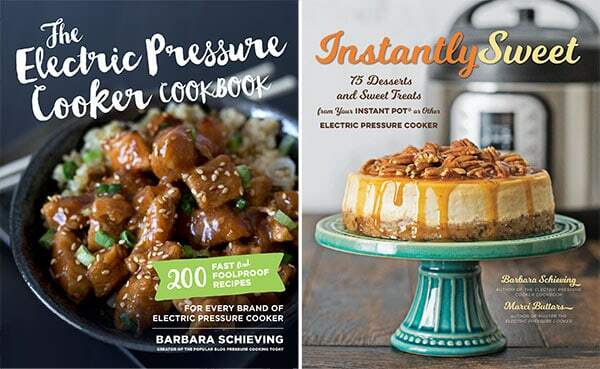 Hi Mindy – it can definitely be made in a stove top pressure cooker as well. 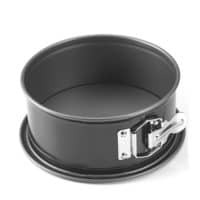 I would reduce the cook time 15% and be sure you reduce your stove to the minimum required to maintain pressure and that you use the minimum water required for your pressure cooker. Enjoy! Wow, that’s pretty! I’m curious why you need to cook the sour cream layer. Does it just make it firm up or something? Thanks Marci! 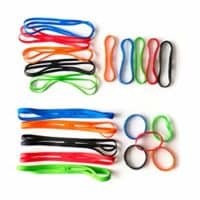 It does firm up. Thanks so much for turning Hollywood Two-Tone Cheesecake into a pressure cooker recipe. 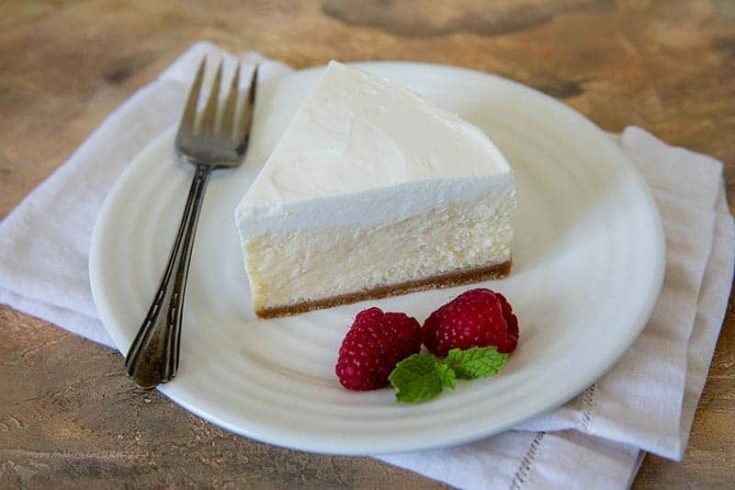 As I’ve mentioned, it’s my favorite cheesecake, probably because of the simplicity of it. 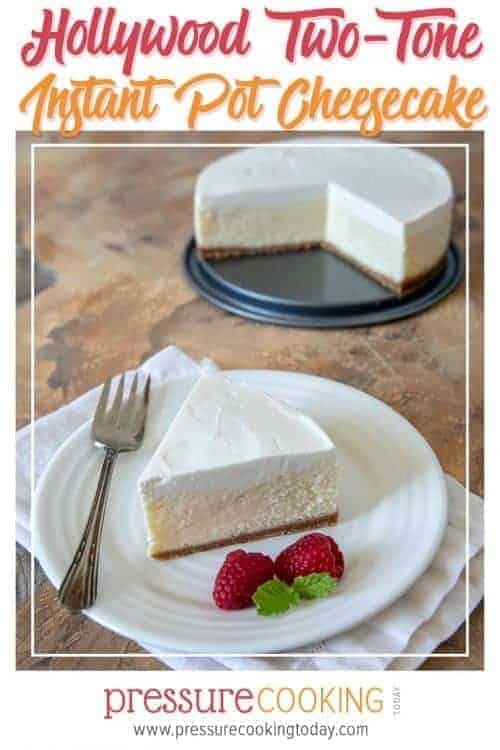 There are many wonderful cheesecake recipes, of course, but many of them are fancy and include ingredients such as chocolate, oranges, peanut butter, coffee, Nutella, lemon, berries, pecans, coconut, honey, mint, and many others. Nothing wrong with this at all, but Hollywood Two-Tone Cheesecake, at least for me, seems to capture the essence of what a cheesecake should be. Thanks also for doing the additional research on the recipe. 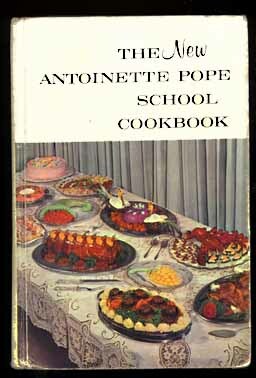 Boy does mention of the Antoinette Pope School of Cooking bring back memories. Antoinette and her husband Francois had a cooking show on TV. Apparently it wasn’t the first cooking show on TV anywhere but was one of the first. As I recall their two adult sons also were on the show. Their cooking school was in Chicago and the show was broadcast on a local Chicago TV channel. I grew up in northwest Indiana but our home was 30 minutes from downtown Chicago. As a child, I loved watching their cooking show on TV and it probably was responsible for first awakening what has become my lifelong love and interest in food and cooking. I didn’t know about Antoinette Pope before this post. How fun that you have memories of watching her show. Thanks again for sharing the recipe with me. I have the Antoinette Pope cookbook. It was my mother’s. I am anxious to try this recipe. 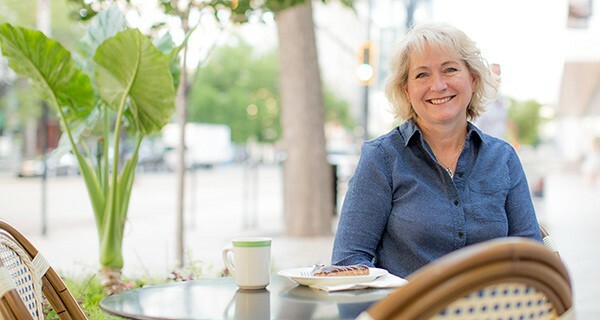 Hi Ruth – how great to have your mom’s Antoinette Pope cookbook. Definitely let me know how you like the recipe. Thanks!